The treatment begins with a custom laser vision correction treatment performed using an excimer laser. This lasts only ten minutes and helps reshape your cornea which partially improves your prescription. Its primary benefit, however, lies in reducing atypical astigmatism, myopia (nearsightedness) or hyperopia (farsightedness) which is difficult to correct with glasses or contact lenses. The goal is not to eliminate the need for glasses or contact lenses, but rather provide a better overall quality of vision when wearing them. 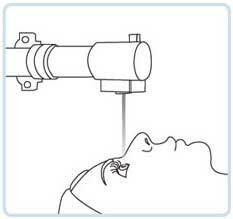 The second part utilizes CXL technology to strengthen the weak cornea. This portion of the treatment consists of the use of UV-A light and the application of riboflavin to the cornea. The surface of the eye is gently polished using a rotary ephithelial brush. 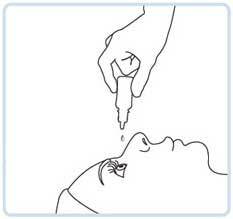 Riboflavin drops are applied to the eye. UV-A light is applied to the eye. A bandage contact lens is put in place to assist the initial healing process. Learn more about CXL combined with an excimer laser treatment from a 2011 study.